SORRY WE DON’T OFFER MOBILE UNLOCKING ANYMORE! When our Ninjas are not hard at work repairing mobiles, they are out infiltrating the Telcos to uncover the secrets to unlocking them. Our latest intelligence suggests that our ninjas can slice through most carrier locks worldwide! Since our unlocking training is so extensive we have a guarantee that if we can not unlock your device there is no charge. Get your iPhone unlock here with our Perth WA price beat guarantee; we’ll beat any price! 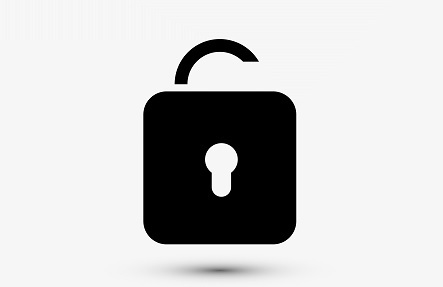 iPhone unlocking allows you to use a locked mobile on a separate carrier or network. For example you may have an iPhone locked to Telstra but may want to use that phone on another network. This particularly comes in handy if you are planning on travelling to another country, if you have an unlocked phone then you can just grab a prepaid SIM card to avoid any excess roaming charges. So if you want your iPhone unlocked or if you just want your iPad, iPhone or iPod Jailbroken then why not drop down to our stores in Perth. It’s as simple as that! All of our ninja techs will be eager to help you with your request. Since the implementation of IOS 7 Apple has bumped up the security of most of their devices. If you have linked your device to an iCloud account and enabled “find my phone” the device can become locked to that account. This can be an issue if the device is to be bought or sold second hand. Even if the device has it’s software completely reloaded, it will prompt you for the iCloud account user name and password in order to complete activation. This means that you will not be able to use the device, it will not even boot to the home screen unless you put in these account details or have the device removed from the iCloud account. Unfortunately we can’t help in regards to this issue at this time as there is no way around the iCloud lock. Even if you take the device to Apple, they will not be able to help you. This has made the purchase of second hand devices an absolute nightmare. If you are looking to buy a device second hand you need to make sure that the device is not iCloud locked and you need to check the IMEI number to make sure that it’s not blocked. Read below to learn about phone blocking. Sometimes if you buy a phone (or are looking to buy) it can be blocked by a carrier, this is very different to locked. Basically a phone can have a block put on it to stop the device from being used as a communications device. It doesn’t stop the device from turning on, it just removes the GSM functionality of the phone (so you can’t make calls, send txt messages or use mobile data, Wifi will still work though). Typically the block will be applied if the original owner doesn’t pay their bills or the user can request the block to be applied if the device is lost or stolen. Blocks can only be removed by the original owner of the device if they call their phone company and request it, we can not remove carrier blocks from devices. Even if you unlock the phone and use another sim in it, the block still applies. This is an all too common occurrence when people purchase a phone second hand, often after the purchase the buyer can’t get in contact with the seller and are left with a device they can’t use. You can check to see if a phone’s IMEI number is blocked in Australia, just visit AMTAs IMEI Checker and click on the “Check imei status here” link. Once the new window pops up, input your 15 digit imei code that can be found on your phone and it will tell you if the device has been blocked. This method only applies to Australian devices, overseas devices will present as not blocked even if they have been blocked. As stated above unlocking allows you to break the restriction on your mobile barring you from making calls from other networks. This also comes in handy if you originally signed up with a carrier but then the relationship went sour or you found a better deal with a different carrier. Once your phone is unlocked, it’s unlocked for life and you can use any number of other sim cards in it. Note that all our unlocks are official carrier unlocks and will last the lifespan of the product. Once the device has been unlocked, if you still have a contract with your old carrier you will have to contact them in regards to either paying off or opting out of the contract to make sure that you still don’t incur contract fees after changing sim cards. Unlocking does not cancel your current contract, it only allows your phone to be used with other networks. You may have heard this buzzword floating around “Jailbreak”. If you are unclear as to what a Jailbreak is then read on. To put it simply, Jailbreak allows you to run applications on an apple device that aren’t signed by apple (3rd party apps). In the past due to some very strict carrier lock restrictions this was the only way to unlock an iPhone, since then the phone companies have lightened up a little and allowed iPhones to be officially unlocked. Latest Jailbreak IOS Software version is 7.1.1. No jailbreak available currently for newer versions! The Jailbreak unlock method does not apply anymore to current devices, it pretty much died off when the iPhone 4 was released. In other words, you only jailbreak your device if there are some specific apps or features you wish to run, not for unlocking. The humble iPod has come a long way. Since the iPod touch can run a lot of the same content as an iPhone, these nifty little devices can benefit from Jailbreaks in the same way. Refer to the info above regarding specific software versions and their compatibility with the Jailbreak process. Looking to supersize your Jailbreak experience? Why not just Jailbreak a device with a bigger screen! The iPad range is also a viable candidate for the Jailbreak process. As it stands, the whole range of iPads from the original iPad to the new super sleek iPad Air can be Jailbroken. This process is only viable for devices on a certain software version or lower, check above for info on IOS version compatibility. Sometimes the software on a device can have a major attitude problem! Luckily the guys at Phone Ninja have a firm grasp of how the software works and can help with these situations. Some software issues can occur from an incomplete update attempt, installed applications, memory corruption or sometimes seemingly just out of thin air. Whatever software woes you are experiencing, we got your back! Please note that in most circumstances when the software needs to be reset or re-installed, the data that you have on the device will be deleted. This includes your photos, videos, setting, contacts etc. Copyright 2014 Phone Ninja, All rights reserved. All other trademarks & copyrights are owned by their respective owners. We are an independent phone repairer and not affiliated with Apple in anyway.